Tired of being successful? Do you need some bad reputation for spicing your business life? You are reading the right post then, because here you can learn how to spoil your SEO in practical and easy steps! In order to drive your company to the deepest level of failure, feel free to put the following wise advice into motion and don’t forget to consider some highly damaging mistakes of online reputation management. If you want to create a mediocre website for your business, whether an online shop or blog, it is important to ignore completely the so called “necessary techniques for your website to achieve success”. SEO, of course, is one of them. There is no need to connect your page to other websites nor waste brain cells about quality links. Improving the visibility of your website so that search engines can read and browse through it easily, is actually the least of your priorities. You do not need to know the people who visit your website. It is true that every public consumes information in different ways, but maybe you have more important things to spend or waste your time than knowing what people are looking for in search engines. It’s their business, after all. Anyone could use the Google search tools in case they need to find that kind of information, at any time. You know, if you have a website about dogs, Google Trends suggest similar searches: videos, websites, photos of dogs… or even can give you synonyms like canids. Yes, it is interesting, but Google is not going anywhere and you have things to do. Keep doing them as your wise reason suggests, without twisting your road, even though you commit mistakes over and over. Such perseverance is a virtue that few are able to value (which is ok). You don’t really have to define the searches in which you want to try to position your company. Let it be. 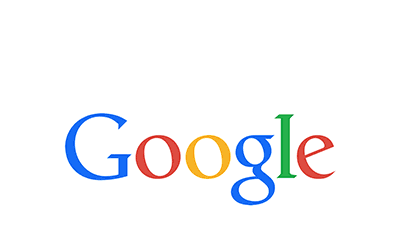 Google’s invisible hand will eventually guide user’s searches to your website. Again: anyone can use Google Trends to define the natural positioning strategy on Google. There is no rush. Nobody should criticize it. Forget the criticism about how difficult it is to browse in your website, how slow it is because the amount of items you have chosen thanks to your remarkable instincts, or how badly organized in terms of communication. If no one can find the information they are looking for on your site, they just don’t know how to read. It’s not your fault. Several SEO consultants have mentioned that the end of link building is imminent and they are right. It does not really work and almost all forms of link building are black-hat techniques and spam. The correlation of links affects positively the way links impact the search results increasingly (so they say, and people say a lot of things on the Internet, so don’t worry). Web sites actually don’t need inbound links to rank well. Relevant and quality links are not necessary, even using a scalable method. People underestimate the benefits of improvisation, and the creative freedom it brings. You don’t need to have a clear numerical target or a specific audience… nor a lot of ideas. Be yourself, follow your guts and drive your business the best way you can. They say that if you don’t plan your content according to an editorial calendar, if you don’t vary formats, if you don’t specify the kind of user your content is directed, it will be difficult to know if you’re doing right or wrong, and you will only depend on your intuition to move forward. But intuition is a gift that almost nobody has and you should value it. Keep all those tips in mind and become a winner in the art of failing!